The rise of cloud computing is transforming how we get our work done, and that’s placing a new set of demands on the enterprise network. IT organizations must support the adoption of more cloud-based applications and services (i.e., SaaS (News - Alert), IaaS) that users want to access 24/7 on their ever-growing collection of smart devices. More of those users work out of branch offices and other remote locations all over the world than ever. They expect the same levels of network availability and application performance they would have sitting in corporate HQ, even for video and other bandwidth-intensive applications. IT is deploying hybrid WAN topologies at remote locations, but cannot afford to assign staff to each site. Before too long, the network starts to feel the strain, and that impacts application performance levels and bandwidth availability for business critical apps. If this scenario sounds familiar, you’ll find that the traditional approach - refreshing and adding more branch routers - will just be a temporary bandage that won’t close the widening performance gap between the needs of your users and what you can provide. The future of the WAN is not the router. Implementing SD-WAN will enable you to achieve new levels of network visibility, agility, security and performance. The digital transformation reshaping our business and personal lives has turned what was once impossible into standard operating procedures. For example, it only takes minutes to bring servers, storage resources and applications online. The trick is being able to provide 24/7 access to users without increasing the risk of performance issues or reducing the organization’s information security posture. The Wide Area Network (WAN) is no longer a simple line between the data center and a handful of branch offices. Today’s hybrid IT architectures incorporate multiple cloud-based applications and services, and must connect them to the increasing number of highly mobile users, many who work in remote locations. That’s making managing branch office network solutions and ensuring high-performance levels increasingly complex and costly. Why? Because trying to configure traditional routers creates a number of issues IT organizations are finding increasingly difficult to overcome. The network becomes too complex and costly to manage effectively, and even small configuration challenges are hard to get right without breaking the increasingly inflexible and fragile network. Protecting sensitive data from cyber attackers becomes more difficult since direct Internet access to multiple remote sites typically bypass data center-grade security services. Encrypted apps (SSL, TLS, HTTPS) and SaaS vendor opacity compromise end-to-end visibility. Limited MPLS capacity and no SLAs for Internet broadband result in unpredictable performance slowdowns that users will notice. Addressing these issues effectively over the long-term requires a fundamental rethink of networking in order to align the needs of the modern business going through digital transformation. Legacy approaches that are hardware-centric and CLI-driven are too rigid, complex and error prone for the cloud era. This is where SD-WAN can play such a critical role in terms of expanding WAN capabilities without compromising agility, performance or visibility. IT can leverage SD-WAN to take a much more holistic approach that hides the underlying complexity and makes orchestrating enterprise and cloud connectivity point-and-click easy. Instead of trying to manage thousands of manually configured routers, IT can centralize management via virtual network designs, zero-touch provisioning, and easy change management. With SD-WAN, IT can deploy and manage remote branch connectivity in a cost-effective way. SD-WAN centralizes the control function, which can then abstract a user’s private network services from the underlying IP network. This enables the operations of the user’s private network services via a centralized policy. You can also automate management tasks that are typically manual, such as configuration and provisioning, and set up transport- and technology-agnostic virtual overlays. SD-WAN may still be an emerging technology, but industry watchers report its adoption will be brisk. IDC’s (News - Alert) 2015 “U.S. Enterprise Communications Survey” found that a majority of enterprises have aggressive plans for implementing SD-WAN. When IDC asked respondents “Does your company plan to migrate any of your existing WAN/network connections to an SD-WAN alternative?” nearly 70 percent indicated they do, with more than half of them expecting to do so within the next one to two years. The world has changed dramatically over the last 20 years, but the core approaches to networking haven’t kept up. Industry titans like Microsoft (News - Alert) are declaring themselves cloud-first companies, and competing directly with other cloud services providers like AWS and Google. In every other aspect of IT, we see vendors racing to see who can be the most cloud-centric company. But that’s not the case with networking, and that must change. IT organizations cannot address the demands users now place on networks via the traditional approach of upgrading and adding routers to branch offices and other remote locations. SD-WAN can bring significant value to enterprise IT. However, in order to bring meaningful transformation, enterprises should look further than the WAN to extend the benefits of software-defined networking past the edges of the wide-area network. With an increasing appetite for the hybrid cloud, it’s critical for enterprise users to connect securely to the cloud. Establishing ubiquitous connectivity for distributed networks that spans the WAN and goes deeper into remote LAN networks where users connect their devices and IT manages remote services (phones, servers, etc. ), as well as unifying connectivity into the cloud infrastructure as a service, will be critical. According to IDC, WAN optimization is a critical capability of an SD-WAN solution. WAN optimization has a positive impact on application and network performance, end-user productivity, WAN management efficiencies and cost savings, and IT staff productivity. In a distributed enterprise, a significant amount of business is done at the branches, and hence the solution should also manage user access for BYOD and network segmentation at the branch LAN/WLAN and the WAN, with ease. In other words, you need a true application-defined SD-WAN. 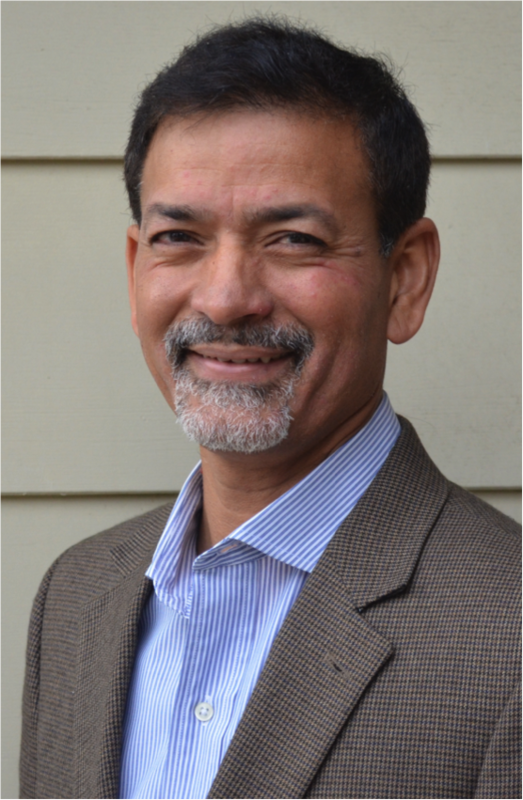 Milind Bhise is the Senior Director of Product Marketing at Riverbed (News - Alert) Technologies and has over twenty years of experience in networking and telecom. Prior to Riverbed, he was a founding team member of Aviatrix, a venture funded cloud native networking company where he was responsible for global marketing. He has also held various senior management roles at Fluke Networks, Aricent Group (News - Alert), Proxim Wireless and Nortel Networks.